Take part in our first ever overseas fundraising challenge and do something amazing for neurology in Sheffield! 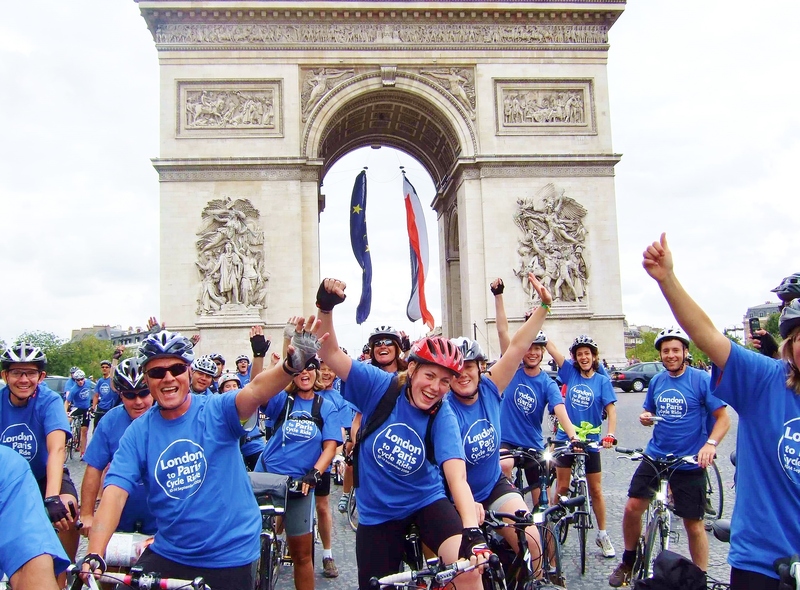 This exciting four day ride will take you from the heart of London through beautiful English villages and into the stunning countryside of rural France before ending your challenge and celebrating in Paris under the Eiffel Tower. Whether you’re an experience rider looking to put in some mileage or a complete beginner on your first ever multi-day ride, you will find other cyclists at your level, make friends for life and go on an incredible adventure which will stay with you forever. Difficulty: Rated as difficulty 2 out of 5 (1 moderate – 5 extreme). Suitable for all abilities and for those after a new adventure! This event requires plenty of training. A training guide will be made available once you have signed up. Costings: £125 to get involved at the time of registration and a minimum sponsorship target of £1,600 to be raised prior to the event. Accommodation, travel by ferry and Eurostar, all meals during cycling days, water, refreshments, guides, mechanics and medical support are all included. Want to know more? Watch the video below and take a look at the event brochure where you will find everything you’ll need to know about the challenge, including a full itinerary, what to pack, trip tips and how to get started on your fundraising.